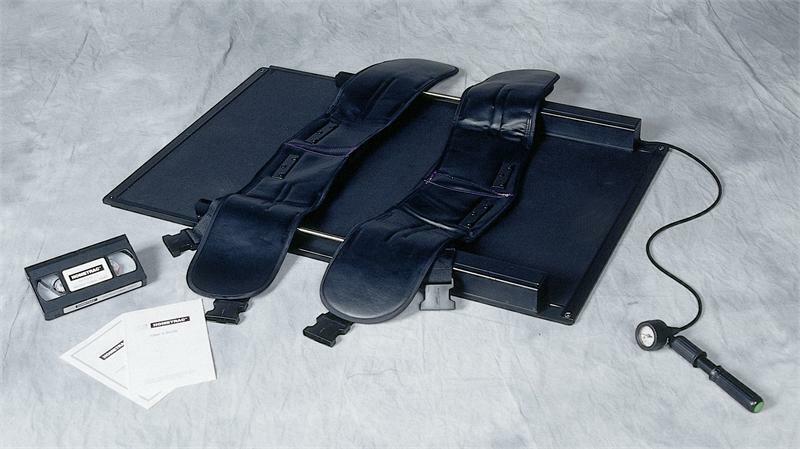 Saunders Lumbar Traction Provides High-Quality Treatment That Replicates Clinical Traction! The patient is held secure by comfortable thoracic and pelvic belts. Most users can position themselves without help. Patented pump incorporates an easy "click into place" mechanism for pumping, sustaining, and releasing the tractionit's easy to use and eliminates air leaks. Guage is calibrted in lbs/kgs to provide feedback and promote consistency in treatment.